Product release, or social media campaign, our goal is to DELIVER THE GREATEST POSITIVE CHANGE TO YOUR BUSINESS. WE CREATE COMPELLING STORIES AND BUILD CREATIVE CONTENT THAT DELIVER OUR CLIENTS’ BRANDS. Successful company positioning means communicating a brand through a clear and recognizable profile, built by content that the market recognizes as valuable to their business. Communication activities must offer a significant competitive advantage in the marketplace, and must be a real engine for the business, as .reputation per se does not help anyone. Therefore it is necessary to give visibility to the distinctive elements of the company that the market can perceives as valuable for the business. That’s why the two principal avenues of a successful communication project are persons, bearers of specific expertise and know-how and entrepreneurial skills, and the company values and habits as a system of resources, technologies, know-how, material assets, as well as success story built with customers. 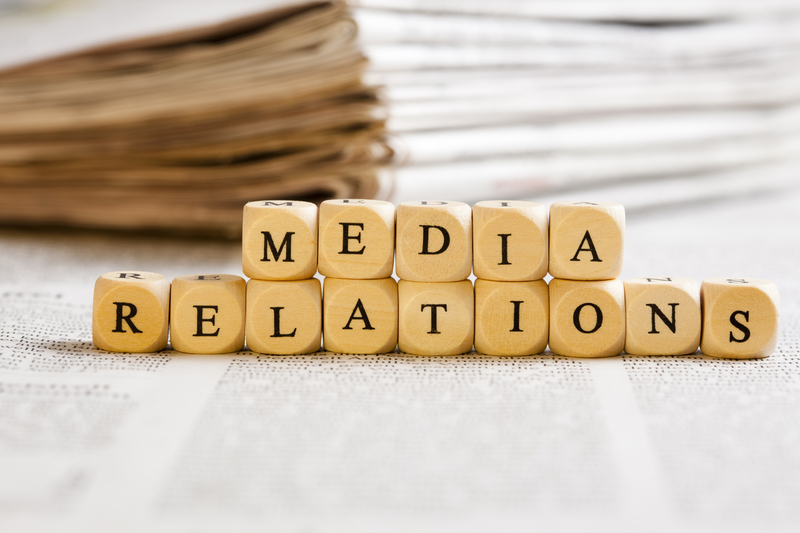 We will deliver coordinated press office activities for your firm, establishing your company and personal relationships with top IT journalists, editors, influencers. 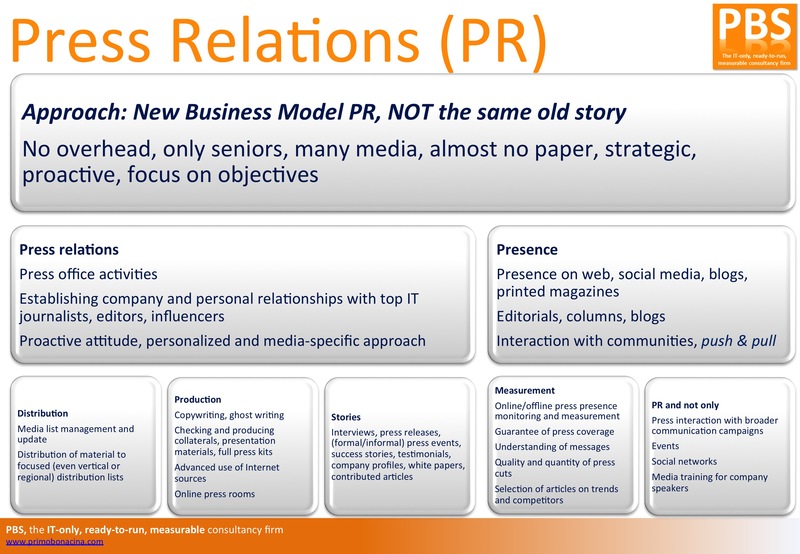 This will be performed with a proactive attitude and a personalized, measurable and media-specific approach.